I was itching to wear Jo'Mina again, so I decided to spice it up with a little bit of abstract nail art! 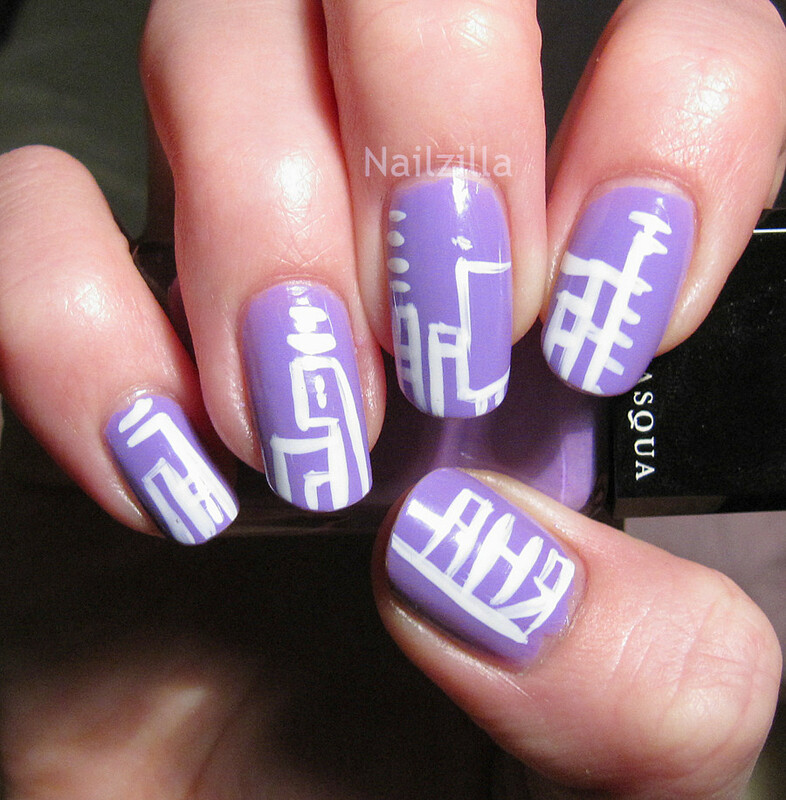 To create this, I used a white nail art polish and went a little crazy with the corners. Also, my thumb spells my first name in Russian, written as АНЯ. I'm pretty happy with the way this came out, I'd love to try more graffiti nails eventually. Love the abstract art!! I have to say sandals are my favorite thing about summer!